Saying thank you is a universal positive virtue that both religious and secular organizations around the world encourage. So if you want to immortalize this gracious act, there’s no better way to do it than by using printable thank you cards. This article will focus on the creation of religious thank you cards using pre-made digital templates. We will also provide various tips on the different benefits of using such printable templates for your card-making project. In addition to being a rich written resource of card templates, this article also includes more than ten thank you card templates. Each of them features conservative design elements that will be perfect for creating purposeful religious cards. What is a Religious Thank You Card? 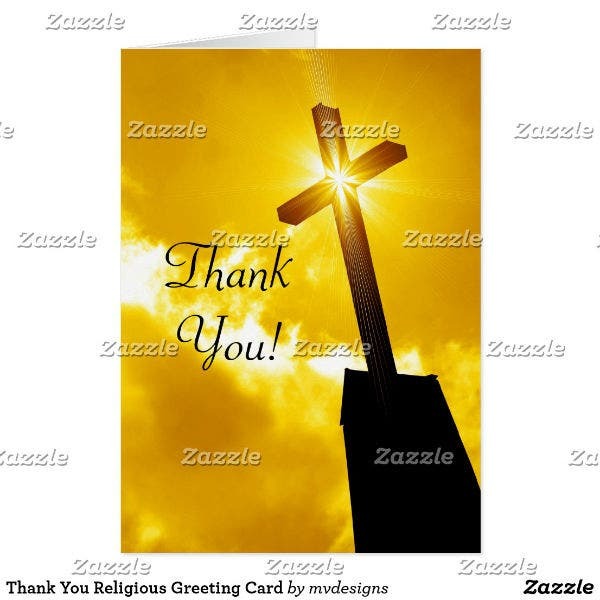 As you may have already inferred, a religious thank you card is a printed greeting card that expresses one’s gratitude towards another person. Thank you cards that contains churchly design themes like crosses and the Star of David are subsequently called religious thank you cards. 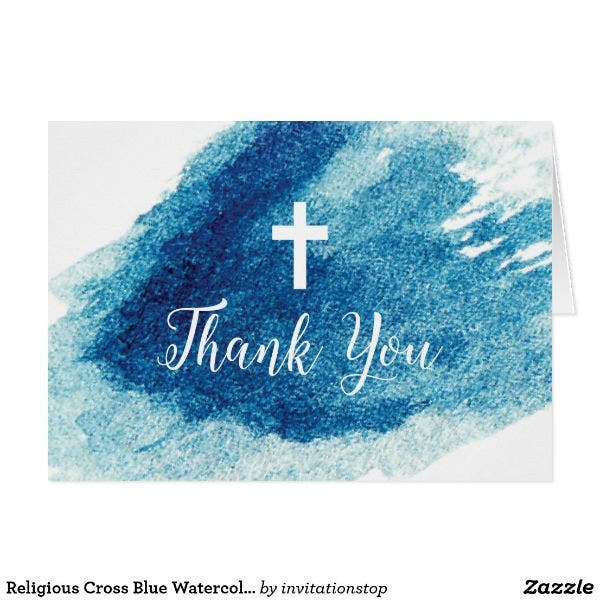 These thank you cards are not solely created for Christians who want to use a themed thank you card. 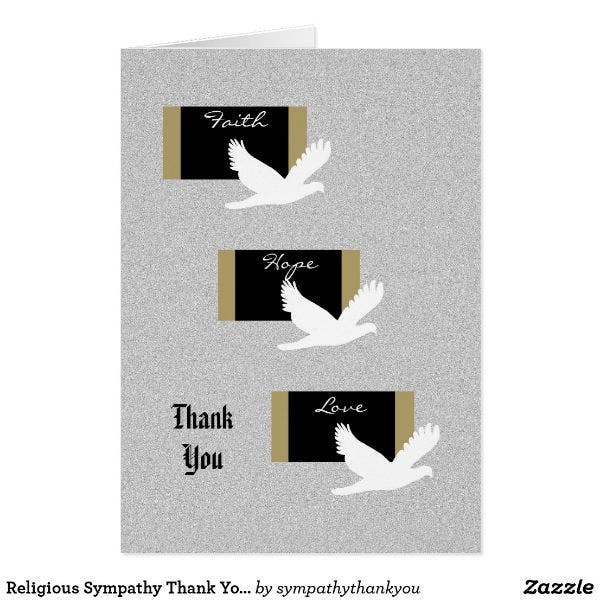 Today, thank you cards are available for any kind of religious belief. 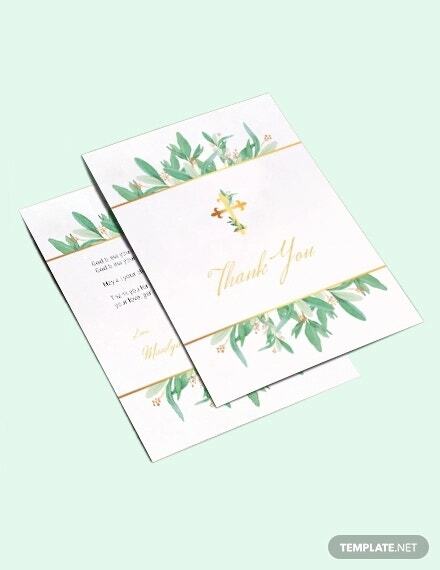 Most religious thank you cards even sport multipurpose card cover designs so that they can be used by anyone with different spiritual beliefs. There are two main ways to create a thank you card. The first method is the use of handmade card designs. This means that you have to manually create your own thank you cards following a card pattern or design that you like. This can be a great approach for those who want to personalize each thank you card they send out. 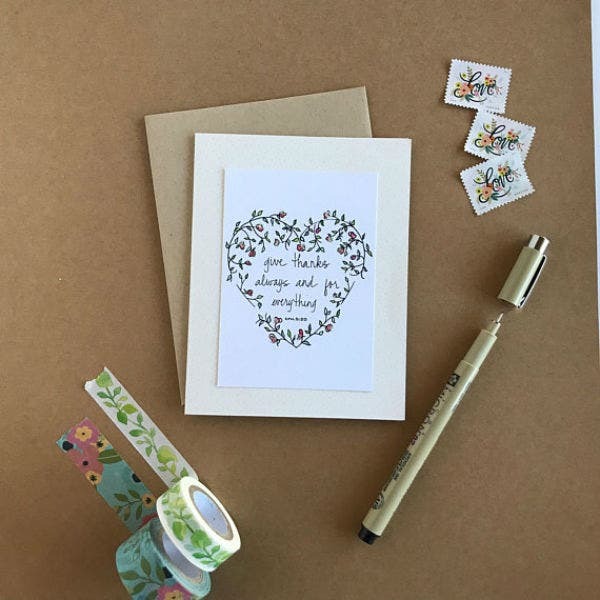 On the other hand, manually handcrafting thank you cards can be a long and tedious process for those who need to create a lot of thank you cards. If you are interested in creating handmade greeting cards, check out the linked article. The next method for creating religious thank you cards is by using pre-made thank you card templates. This card-making method is a good method if you want total convenience in creating a thank you card. Use pre-made thank you card templates are already pre-formatted and you do not need to create a card cover design from scratch. 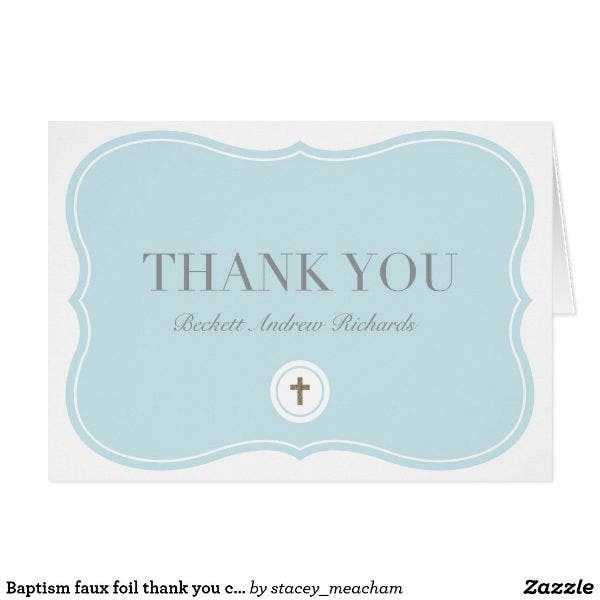 Printable thank you card templates are perfect for those who have limited time for creating a religious thank you card. One drawback associated with using pre-formatted religious thank you card templates is if you do not know how to use different graphic design software programs. You are free to choose the thank you card-making method that you think will best work for you. However, in this article, we focus on providing personalized thank you card templates that will help you achieve the same goals. 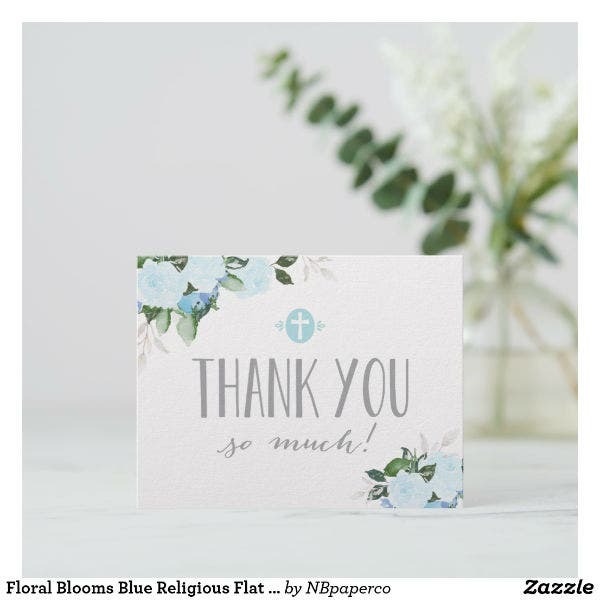 Explore the rest of the article for more tips on how to choose a religious thank you card template and also to see more examples of thank you card templates that all follow a solemn theistic design theme. It is easy to get overwhelmed when you are presented with a lot of choices for achieving any given task. This applies when choosing a thank you card template design as well. In this article alone, you even have fifteen equally beautiful religious thank you card template designs to choose from. Your list of choices only grows bigger I’d you look at the test of this sure and the whole internet. That is why we aim to help you narrow down your template choices and also help you enjoy the after-celebration process more. We have compiled the top factors to take into consideration when you are on the process of choosing a religious thank you card template. It is best to repeatedly read the free list below so that you will get a good grasp of the different items on the list and you will be able to apply them in your decision-making process. 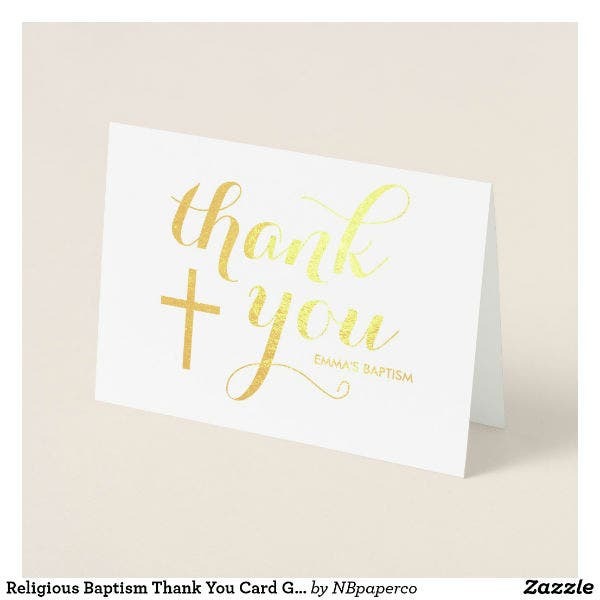 For those who are on a budget but still want to make sure that they send out religious thank you cards to their guests, you should always consider the associated cost of creating a religious thank you card. 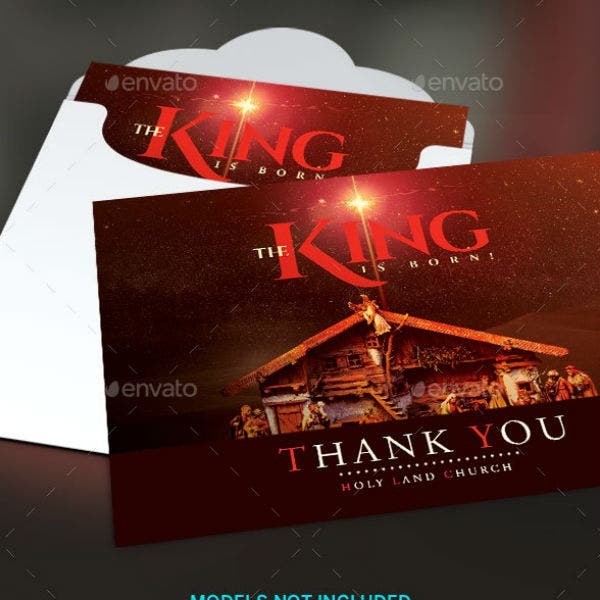 Remember that religious thank you card templates only cost a few dollars while it is the actual printing cost that will set you back by hundreds of dollars. Carefully think about the budget factor when it is time for you to choose a religious thank you card template. The next factor to consider when picking out a religious card template is your ability (or inability) to edit printable templates using the appropriate graphic design software tool. Most printable religious thank you card templates are available as Photoshop, Illustrator, or InDesign template files. This means that you need to learn how to use these graphic design and compositing software programs in order for you to open and edit these digital templates correctly. If you know that you do not have the necessary skills to edit a thank you card template, you may still download the card template of your choice. But you may have to delegate the actual editing task to another person. Another factor to consider when choosing a religious thank you card template is the amount of time you have before you need to send out the thank you card. If you have little time to make edits on the card template, it is best to use a card template that requires little to no editing at all. 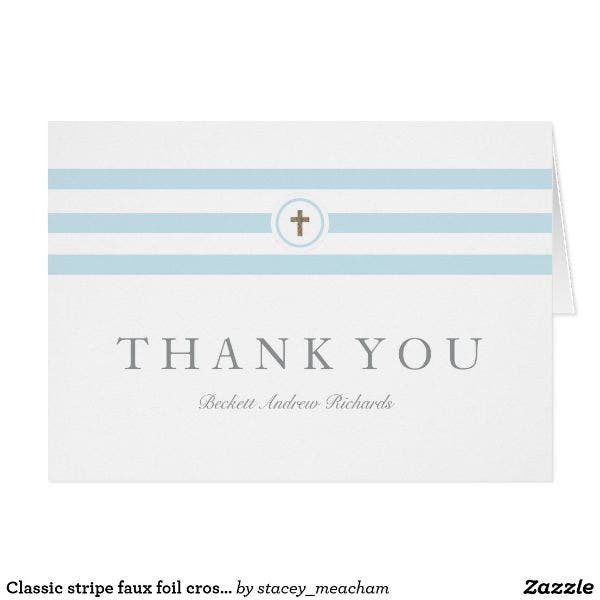 Or, if you have months to prepare your thank you card template, you can certainly take your time in creating handmade thank you cards or in transforming your religious thank you card template. Your chosen thank you card template should have customization options that will let you make all the necessary template design changes that you wish to make. This is an important factor to consider since you need to be sure that you do whatever you want with the digital card template that you like. A tip: Thank you card templates created using Adobe Photoshop, Illustrator, or InDesign tends to offer the most customization options so make sure to choose card templates that are available in this file format. One of the most important factors to consider when selecting a thank you card template is the theme of the party or celebration that you have hosted. But too often, party planners and hosts tend to forget this thing when they send out their thank you cards. That is why, for a more memorable celebratory experience, your thank you cards should also sport the same graphic design elements and themes that were used in the actual party or celebration. For example, if you had a christening party for your child and you wish to send thank you cards to your guests, it is best to use the same color scheme and religious design themes that were used on the christening invitation for your thank you cards. Another factor to consider when picking a religious thank you card template (or other types of card templates) is your preferred graphic design software program. To illustrate, if you only know how to use Adobe Illustrator, you should likewise choose a thank you card template that is available as an Adobe Illustrator template files. By doing this, you will have an easier and quicker time in finishing all the customizations on your thank you cards. So those are the most important things to consider before you finalize what religious thank you card template to use. Do not forget to enjoy the entire process of choosing and creating these thank you cards. After all, you want to make sure that your card recipients really feel that you are thankful of their presence to your celebration or event. What Religious Thank You Card Template Did You Choose? You have reached the end of this article and this means you already need to start working on your card project. Remember to apply all the things that you have learned here so that you will have a memorable and easier time in creating those thank you cards. As a last tip: Do not forget to include handwritten notes on all those religious thank you cards that you will be sending out. This small addition will definitely help make the card more sincere and genuine. And your guests, friends, and colleagues will certainly appreciate that. Also, we would love it if you can share this article with your friends and followers on social media or even on your email list. This way, a lot more people will come to learn more about religious thank you card templates and how they can use them to improve their own lives. For more tips and pre-made card template examples, be sure to check out the rest of our website.